Regardless of how much you may like or dislike Star Wars: Battlefront, or what system you're playing it on, there is one thing you can't deny: it's a damn fine-looking game. 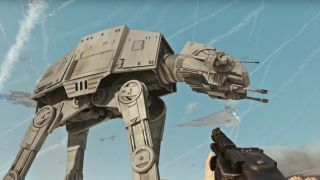 But a new YouTube clip from user jackfrags has us in awe of just how good looking this game can be, with a "real life" mod running Battlefront at 60 frames per second in 4K resolution. According to the clip's description, jackfrags used a modified version of the game post-processing software SweetFX on Battlefront, which gives it a much brighter and sharpened, hyper-real feel. You can check it out for yourself below, though you'll need a 4K monitor and a beyond-decent internet connection to see it for all it's worth.